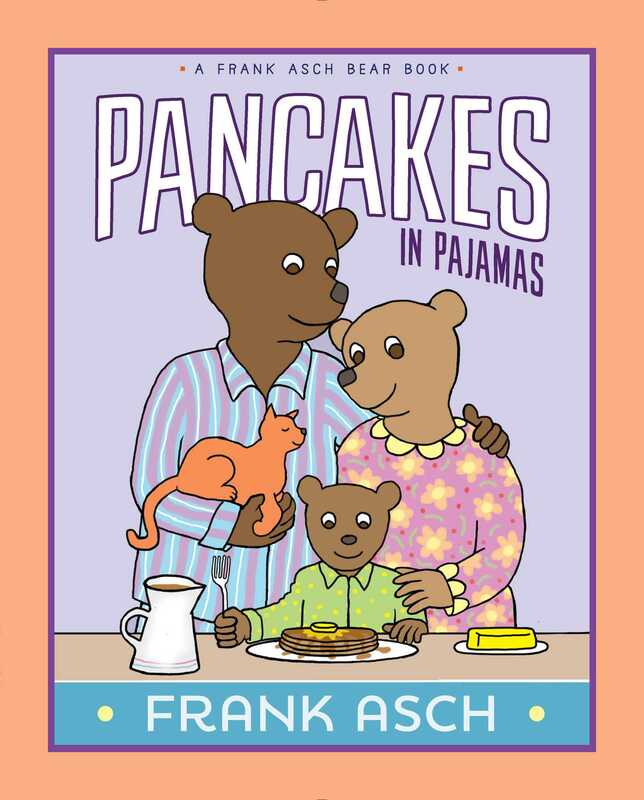 A pajama-wearing Baby Bear eats a delicious stack of pancakes in this sweet picture book from celebrated and award-winning author and illustrator Frank Asch. What better way for Baby Bear, Momma Bear, and Poppa Bear to spend the day together than wearing their pajamas and eating pancakes? But it’s not just pancakes for breakfast! Once they finish eating, reading, playing board games, and napping, the three pajama-wearing bears decide to go to the park, ride bikes, and have a pancake dinner! The silliness continues when the Bears host a pancake and pajama party for the whole town. Frank Asch’s newest Baby Bear adventure is sure to delight his legions of devoted fans. Frank Asch, a graduate of Cooper Union, has written more than eighty children’s books, among them the bestselling classics featuring Moonbear and Baby Bear; Russian National Book Award recipient Here Comes the Cat; and Oppenheimer Toy Portfolio Golden Award winner Like a Windy Day. Mr. Asch lives in Hawaii.